Nick has many years’ experience in banking, with a predominantly corporate banking background. He has been based in and around the West Kent area for the last 15 years and joined Handelsbanken in 2013 to set up and operate their new branch in Sevenoaks. 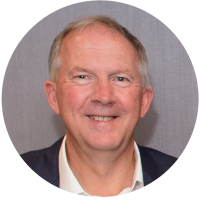 He was previously a Board Director of the Kensington and Chelsea Chamber of Commerce and has been on the Board of our Chamber since 2014, initially to act as the liaison between the Chamber and Sevenoaks District Council’s Economic Development Team. 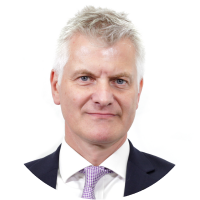 He was appointed Deputy Chairman in 2017 before taking over from Mark Tuvey as Chairman following our AGM in October 2018. 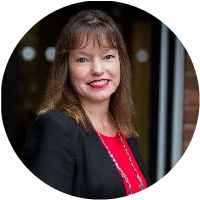 Julie joined the Chamber in 2015 and joined us from a London based membership organisation focused on developing international trade and investment across the Caribbean and Central America. 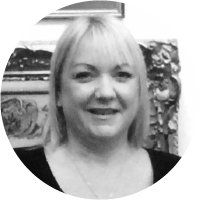 Julie has been involved in all aspects of membership development, sponsorship engagement, events management and has worked in partnership with international chambers. Julie has previously run her own portfolio of businesses specialising in franchising and on-line sales. Julie also worked for many years in corporate business setting up a new international product from inception through to launch for Cigna International and also worked for Cable and Wireless in international development where Julie spent time overseas leading a major change management programme. Kirsteen qualified as an accountant many moons ago and takes responsibility as Treasurer on the Board. Kirsteen runs Ten2Two, a specialist part-time and flexible resourcing agency, with her business partner, Andrea Starbuck. Together they help local business to fill their next resource gap. They specialise in flexible and part-time roles, giving business access to a wealth of local professional candidates who can help business thrive. This may be great experience on an affordable part-time basis; an interim or contract professional; or a freelancer to use their specialist skills for a few hours. Kirsteen is passionate about being part of the local community and encouraging local businesses to enhance their opportunities through the Chamber of Commerce. Felicity is the Customer Relations and Marketing Manager of A4G Amherst Ltd, a family run accountancy firm based in the centre of Sevenoaks. Felicity joined A4G Amherst Ltd in 2014 after working 7 years in London at Jones Lang LaSalle where Felicity assisted a group of senior property professionals dealing with office transactions across Europe and was part of a central marketing team that attended and ran conferences abroad. Felicity became a Board Member for the Sevenoaks and District Chamber of Commerce back in December 2016, as one of the newest Board Members Felicity will focus on Marketing for the Chamber and will be working to help members achieve the most out of their membership and the opportunities available to them. Katrina is the Business Development Manager with Warners Solicitors and part of the management team responsible for delivering the firm’s business and strategic plans. She also has the key responsibility for managing the firm’s client care programme. Gareth Walters is a Healthcare Partner with WPA Healthcare Practice Plc. WPA is a private medical insurer widely recognised for providing excellent value for money and quality of service. Gareth runs his own business representing them, offering expert and regulated advice on medical insurance and low cost cash plans to individuals, families and businesses of all sizes. Gareth advises on membership development for the Chamber with special emphasis on our Business Partner programme. Kathryn has worked at senior management level in advertising, publishing and creative services before joining the Chamber team in January 2017. She is responsible for all membership administration. Mark and Liz both served on the board for over 10 years and were integral to the success the Chamber enjoys today. Due to their significant experience and longevity on the board Mark and Liz remain to support the Chamber on a consultative basis as and when needed and still contribute to the ongoing development.